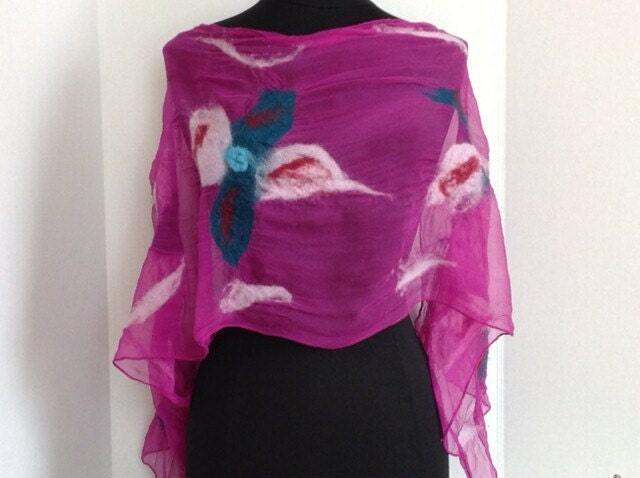 This handcrafted Silk Chiffon scarf was made through the process of Nuno felting. All natural fibers were used to create this lightweight item that will add a touch of style to any outfit. 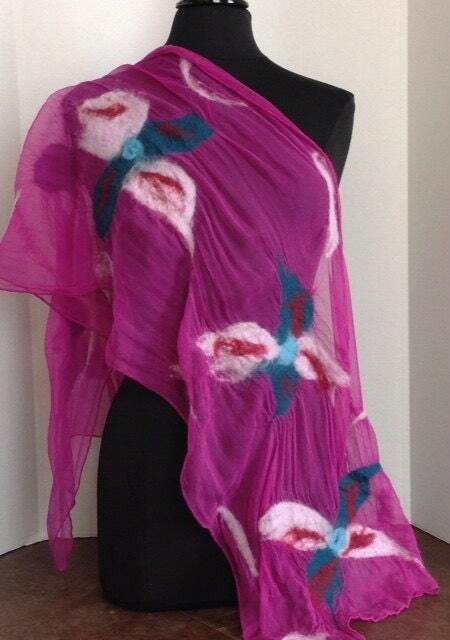 The vibrant and alluring colors are sure to spice up an evening out. This item is hand washable in cool water. Lay flat on a towel to dry. Please do not agitate, machine wash or place in the dryer. I welcome your questions, comments and feedback. Special request colors/themes are also welcome! Approximate size is 22" x 60".